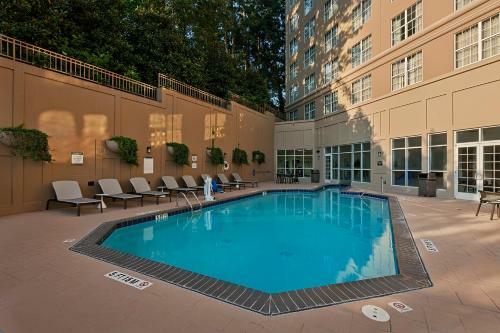 Description This Atlanta, Georgia hotel has an indoor pool, an outdoor pool, non-smoking guest rooms and an on-site restaurant. 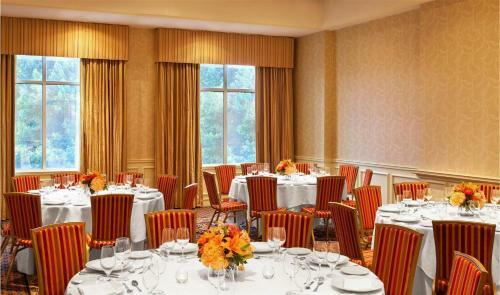 A modern hotel with on-site dining indoor and outdoor pools the non-smoking Sheraton Suites Galleria Atlanta provides our guests with upscale lodging and business-friendly amenities at a very affordable price. 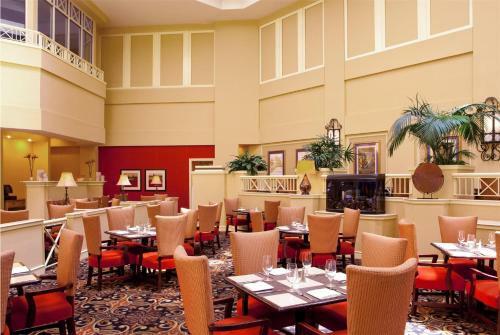 The 14-story Sheraton features a dramatically redesigned lobby centered around a connectivity hub where guests can take advantage of workstations printing and flat-panel TVs. Also on the main level are a restaurant and a cocktail lounge. 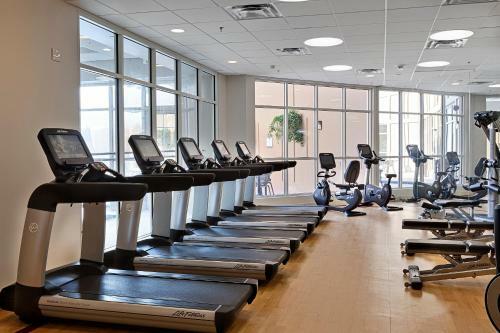 The heated indoor pool the seasonal outdoor pool and sun deck and the well-equipped fitness room offer recreation and relaxation. 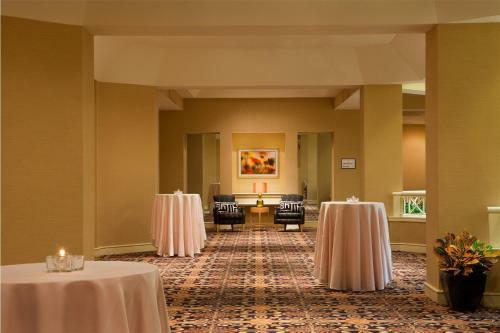 The Sheraton also features covered self-parking for an additional fee and complimentary local shuttle service within a three-mile radius. 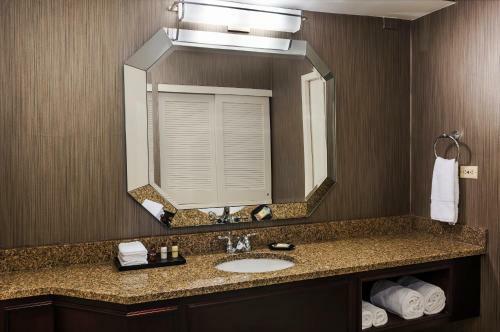 In addition to standard amenities all 278 two-room suites feature sofa beds pillowtop mattresses with crisp linens and duvets flat-panel cable TVs with premium channels coffeemakers and wet bars with microwaves and mini-fridges. 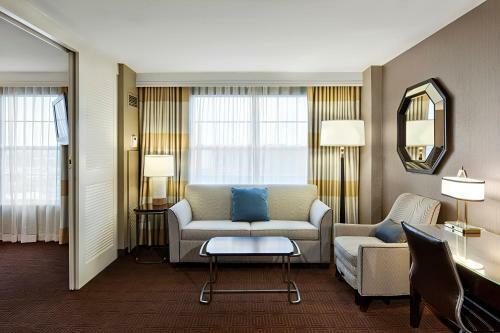 In-room Wi-Fi access is available for an additional fee and pets are welcome for a nominal charge. 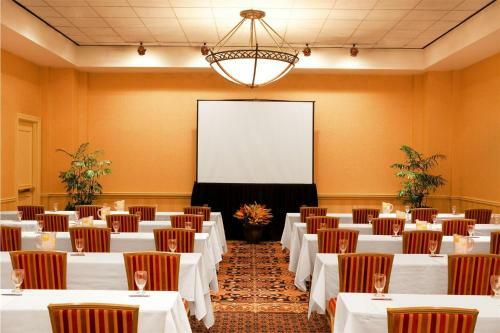 The Sheraton is just across from the Cobb Galleria Centre and adjacent to the Cumberland Mall. The many attractions available in downtown Atlanta GÇö including the new Georgia Aquarium and Atlantic Station the city's newest retail and entertainment district GÇö are within a 15-minute drive from the hotel. Hartsfield Jackson International Airport is about 22 miles away. 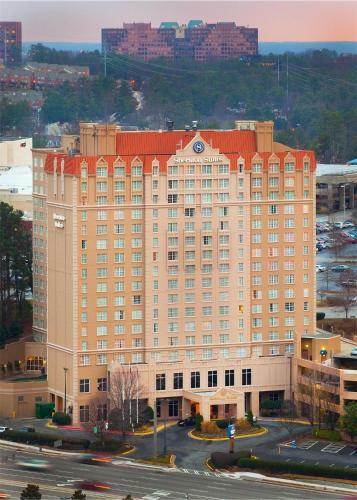 Add Sheraton Suites Galleria Atlanta to your free online travel itinerary.